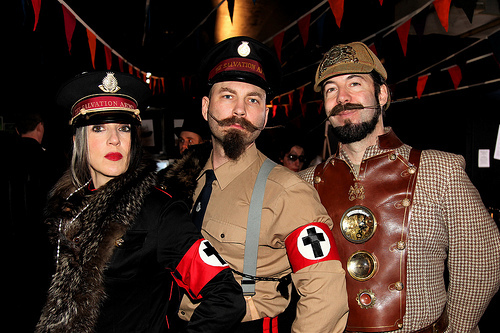 Photo taken at the 2010 Torture Garden Birthday Ball. Copyright and permission by Siberfi of London. Don’t make me beg people. Send in pictures of you and your friends. Or if you find a good picture send me the link. I know I focus a lot on the Club Kids in New York and London but that is because two fabulous photographers let me use their pictures. 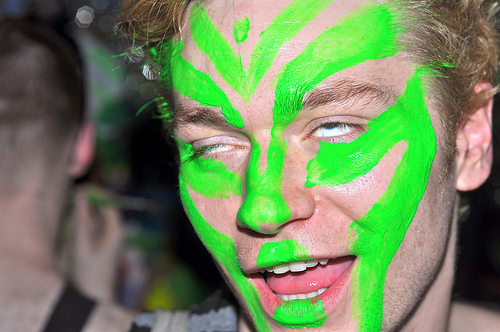 Where are the rest of the Club Kids and Ravers? 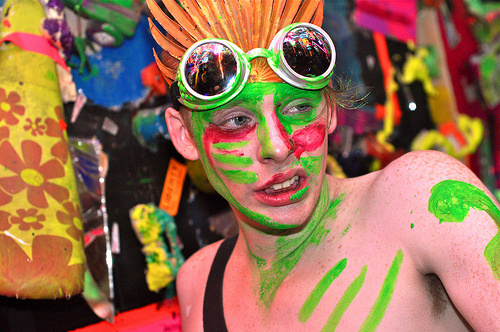 Photos taken at Kenny Scharf’s Cosmic Cavern Party on July 10, 2010. You can find the complete set at Cosmic Cavern Party. Copyright and permission by the fabulous Gerry Visco of New York City. For more information on Kenny Scharf visit his artist page.